The Automatic Transmission Rebuilders Association (ATRA) is the world’s largest trade organization of transmission rebuilders, transmission specialists, and transmission part suppliers with over 2000 members throughout the United States and Canada. 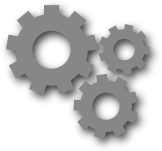 ATRA is your premier source for transmission repair information and transmission problem solving. Our mission is to provide you with the resources needed to keep your transmission running, or get it fixed quickly. Whether you are looking for transmission service advice, transmission maintenance, simple transmission repair, or a complete transmission rebuild, an ATRA member nearby is ready to help. Learn about your car and your transmission before you spend money on a transmission repair or auto service. If your car trouble is not related to your automatic transmission, or you have a question, contact us for technical assistance. 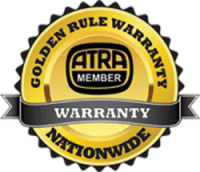 Your local ATRA member shop is best qualified to assist you with the service, maintenance and repair of your automatic transmission.